A man has died from stab wounds in an apparent attack in Norwalk on Tuesday morning. 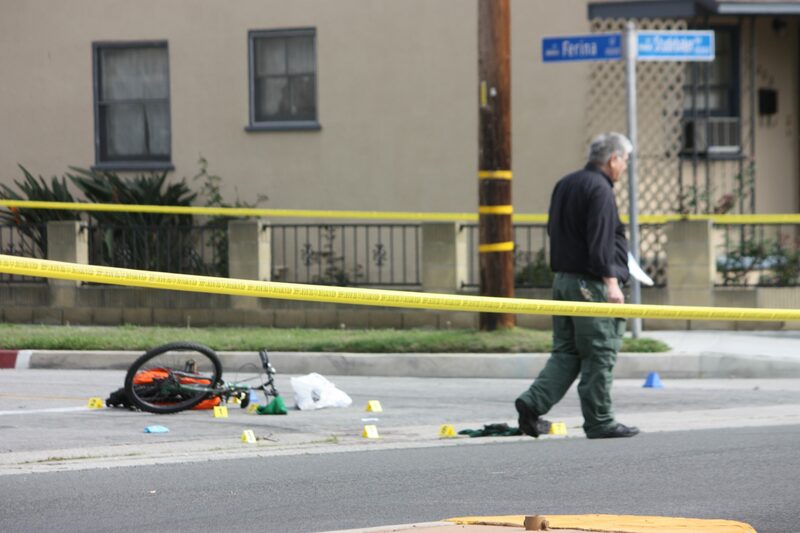 Members of the Los Angeles County Sheriff’s Homicide detectives responded to the intersection of Studebaker Road and Farina Street to investigate the circumstances surrounding the stabbing death of an adult male. The name of the victim has now been released to the community and to members of the media as of Wednesday afternoon. Hews Media Group-Community Newspaper interviewed three residents who live on Studebaker Road right near the scene of the fatal stabbing late Tuesday afternoon as investigators were combing the area inch by inch for clues. “This part of Studebaker Road has become a busy area for drug dealing and gang activity,” said a 19 year old female resident who did not want to be identified. “But for this person to get killed while obviously on his bike is just plain violence at its worst,” she said. Yellow crime scene tape cordoned off the northbound lane of Studebaker Road throughout the day on Tuesday and traffic was diverted into the surrounding residential streets located north of Cerritos College. “Detectives learned that the victim was transported to a local hospital by Los Angeles County Fire Department for unknown injuries. Once at the hospital it was determined the victim was suffering from several stab wounds to the upper torso. 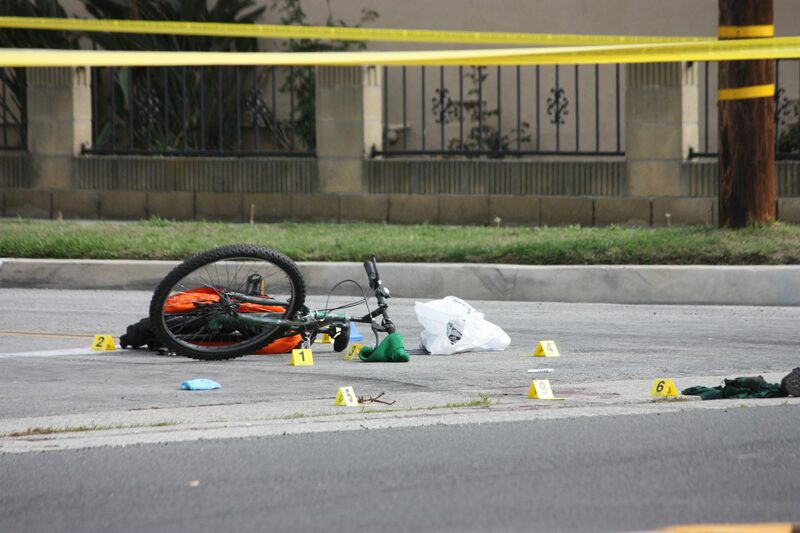 The victim ultimately succumbed to his injuries,” a spokesperson for the LA County Sheriff’s Department said in a written statement. It was also determined that the Norwalk Sheriff’s Station was notified along with Homicide detectives who responded to where the victim was originally located by the local members of the Los Angeles County Fire Department. Anyone with information about this incident is encouraged to contact the Los Angeles County Sheriff’s Department’s Homicide Bureau at (323) 890-5500. If you prefer to provide information anonymously, you may call “Crime Stoppers” by dialing (800) 222-TIPS (8477), or texting the letters TIPLA plus your tip to CRIMES (274637), or by using the website http://lacrimestoppers.org.